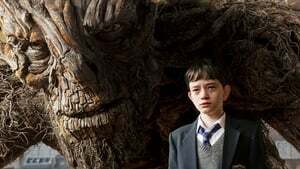 “A Monster Calls” is a movie based on the novel of same name written by Patrick Ness who is also part of the movie as he wrote the screenplay of the movie as well. 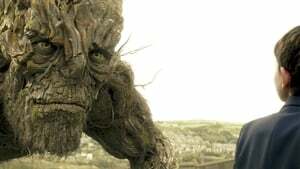 A Monster Call is a very unusual movie, different from other movies of same genre. The story of the film moves around a young kid Conor who is a day dreamer, is not living an easy life. Conor lives with his mother who do not have much time to live due to her terminal illness; cancer. His mother once used to be an artist but she had to set her dreams aside after Conor was born. His estranged father has started his new life away from Conor is of no good for him or his mother. Conor also have a grandmother but he is rather afraid of her because she seems strict. Life is neither easy at home nor at school where Conor is being bullied by school fellows. There is a big old yew tree that seems to guard and graveyard that is across Conor’s house. One night, Conor’s dreams are interrupted when the tree breaks apart and turns into a giant monster that is full of flames internally. It seems like the monster belongs to Conor only and has something to share for which he will continue to appear. Turns out, this new acquaintance of Conor has three different stories that he wants to share with Conor and in return he wants Conor to share his story. The first story that the tree shares is about a queen, a prince and greed to achieve power. The second story is about apothecary, a parson and their beliefs. The third and shortest story moves around a man who had to awake the inner monster to get his place in the world. The three stories are very different but somehow similar with one another. However, it is Conor’s story that touches the viewers the most. The climax comes as a surprise for most of the viewers as Conor realizes that he and his mother has more in common than he thinks there is. Conor’s life throughout the movie moves between the reality and illusion. However, is it really illusion or the tree has always been part of his life? There are a lot of pumps in this movie. At times, it seems like a lot to take or handle. However, the movie continues to grab the undivided attention it viewers till the very end of it. It is a kind of movie where the viewer has to pay attention to minute details since there are a lot of clues that are dropped every now and then between the story. These clues somehow link together and are part of the storyline. The idea of Conor being bullied is not a very unique one since there have been a lot of movies lately that are based on the concept of bullying. Despite having few issues, this movie is an amazing watch.